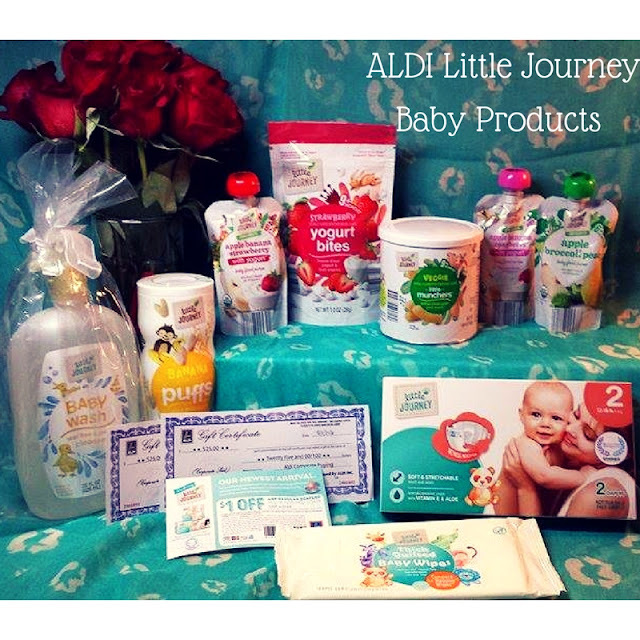 Compensation was provided by ALDI via Momtrends. The opinions expressed herein are those of the author and are not indicative of the opinions of ALDI or Momtrends. Do you remember what it's like to be a new parent? During the anticipation of the new arrival, the plans and thoughts are magical. There is a changing table set up with a perfectly stacked stack of specialty diapers for your baby's special perfect, one of a kind skin and warm wipes. There is a special area just for sterile bottles and the perfect bottle making, every time. There is a beautiful nursery with a mobile playing nursery music 24/7. The serene bliss of a tiny baby in your arms in the rocking chair by a window with a steel ringing wind chime. Then the tiny bundle of joy is here and the stark reality of that is, it's the most amazing time of your life BUT, it's nothing like you ever imagined. The diapers, wipes, bottles, nursery, and rocking chair are all part of the story but, it's NOTHING like the fantasy. The fact of the matter is new parenting is messy, it's tiresome, it's beautiful, I love it! But, the most important part is surviving it during real life situations. You can google it all you want, you will never find the predictable way to pre-plan what you will need exactly. I did google it. How many diapers will a baby use during different stages? My daughter has never only used 4 diapers a day, at any stage. Feeding is another unpredictable situation. Yes at first, 2 oz, to 4 oz, then the major jump to 8oz and an extra 2 or 3 ounces to top off the tank. We need to be able to afford what our baby needs and get it in a hurry! Being a new parent can be so expensive and the reality is, we need to save money for more things like more diapers, more formula, more food, and more of everything. 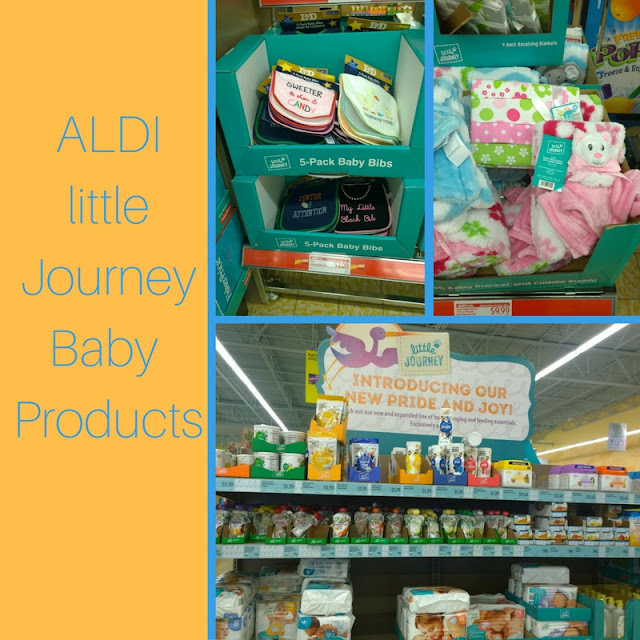 ALDI has debuted their new line of baby products to help take the sting out of the purchases. Great quality products at amazingly low prices. As a parent, you’ve got enough to worry about. With high-quality ALDI products, moms and dads can trust, they’re crossing shopping for baby essentials off your list. I received an amazing package from ALDI for the start of this campaign.To be honest, I didn’t know ALDI Little Journey products would be as awesome as they are until now. I am so happy to be able to have tried them so I am aware of the quality. ALDI is, according to a survey of US consumers conducted in 2016 by Market Force Information, one of America’s favorite grocery stores. They are offering a huge line of over 50 new Little Journey products that cover from newborn to toddler. 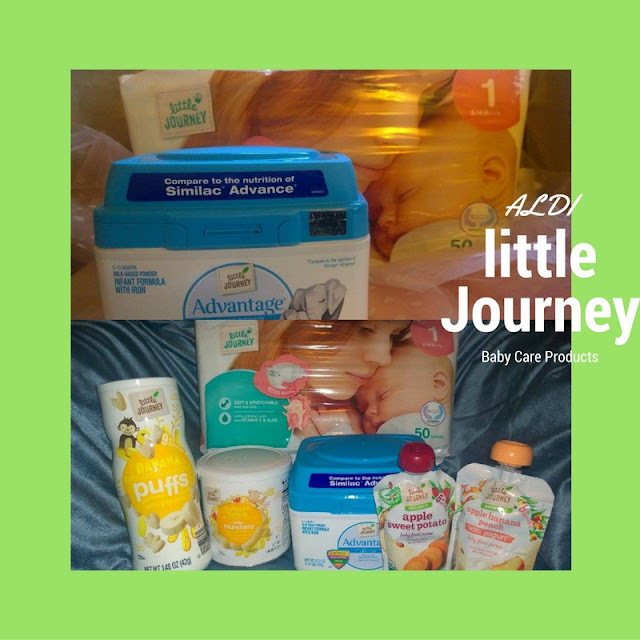 Little Journey Diapers, Little Journey Baby Wash, and Little Journey Wipes are good quality. The diapers have an indicator when they are wet so there is no guessing. I have changed dry diapers before because they looked squishy. No more guessing. The baby wash is so gentle and smells so good. 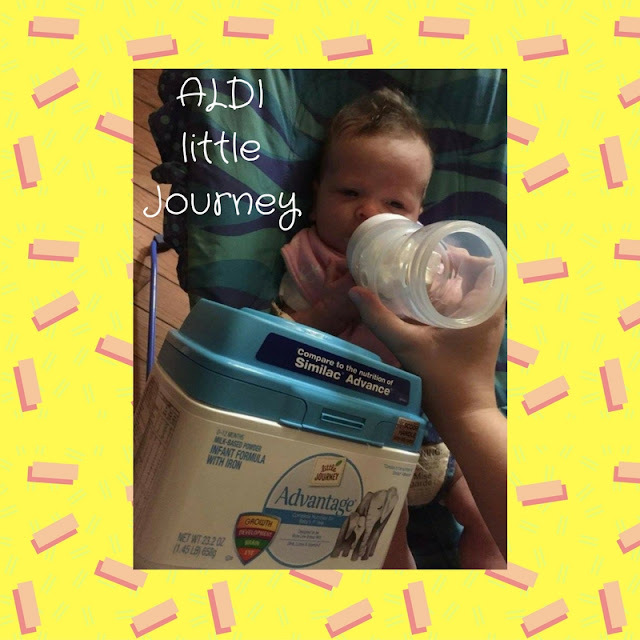 Little Journey Formula, compared to the other brand that the hospital recommended, is the same thing. Their selection is so impressive. Sensitive, Gentle, Soy, Premium, Advantage, and even Toddler formula. These are all of the formulas in one section. I can't believe the price difference. I shopped at the Cleveland TN store. Prices and availability depend on location. I can't wait to see what they have in the Morris and Joliet stores when we go on vacation this fall. All of the Little Journey Snacks are perfect for little learning hands. The Little Journey infant-to-toddler snacks make nutritious eating easy with yummy foods little ones will love, made from ingredients parents will feel good about. They love them. I am so happy to be giving them these snacks. In all, I am so impressed with the quality of Little Journey and amazed at the standard ALDI has set.